During the winter and fall I love to make chili. It is such a simple dinner to make and you can prepare it on the stove in 30-45 minutes. 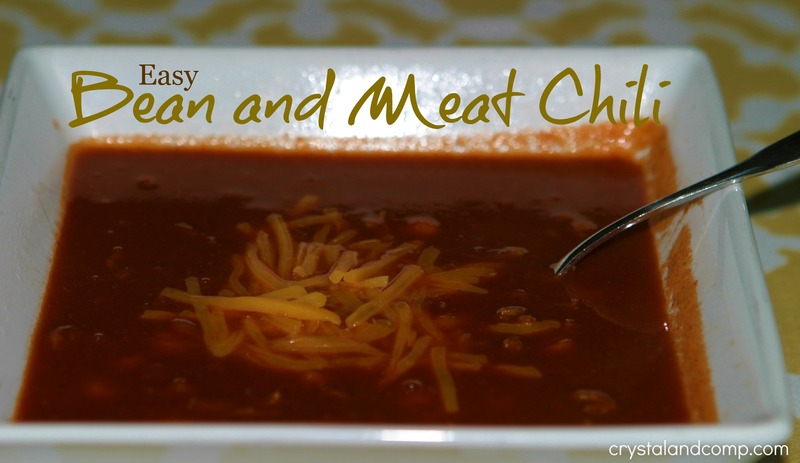 I am one of those who likes a little meat with my bean chili. Feel free to change this up and flop the meat and bean ratio or do without the beans all together. I will forgive you. This recipe can also be converted effortlessly into a crockpot meals just like many of the easy recipes I share here on my site. Ready for this yummy dinner idea? 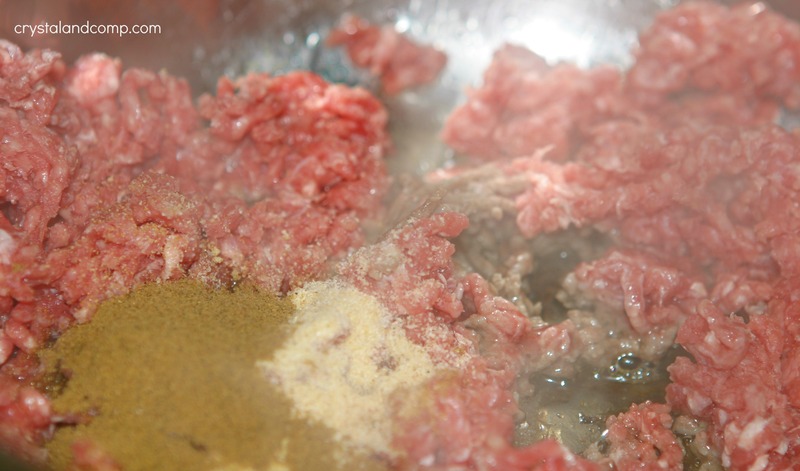 Add the olive oil to a large cooking pot and begin to brown the hamburger meat. Add the seasoning and salt and pepper. Combine well and continue to brown the meat thoroughly. 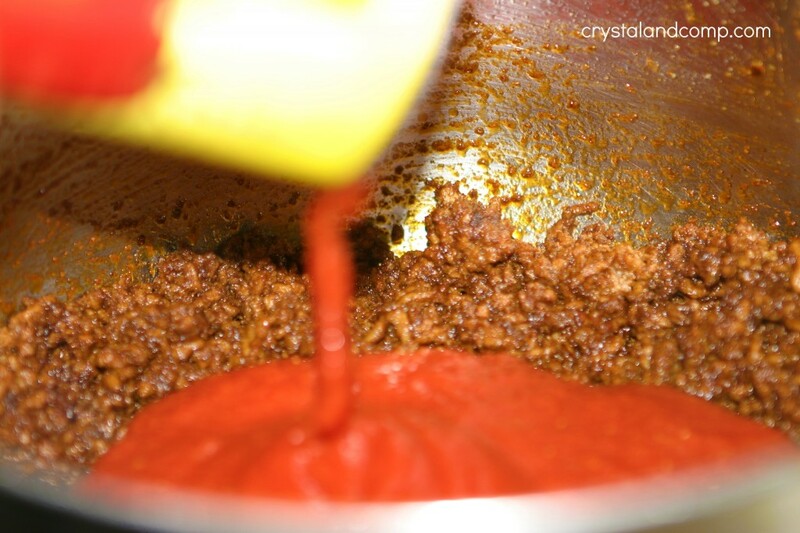 One the meat is fully cooked, add the crushed tomatoes. Hang on to the can, we’re going to fill it up with water. Add the can of tomato sauce. 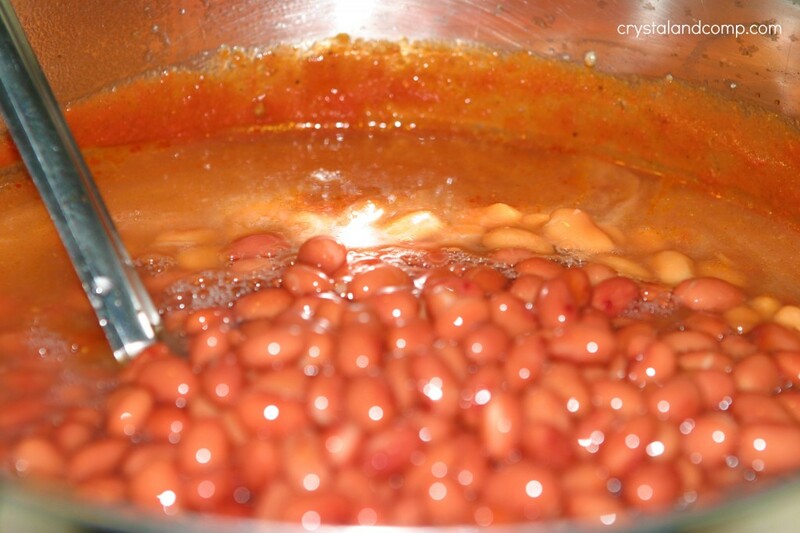 Add the four cans of beans, undrained. 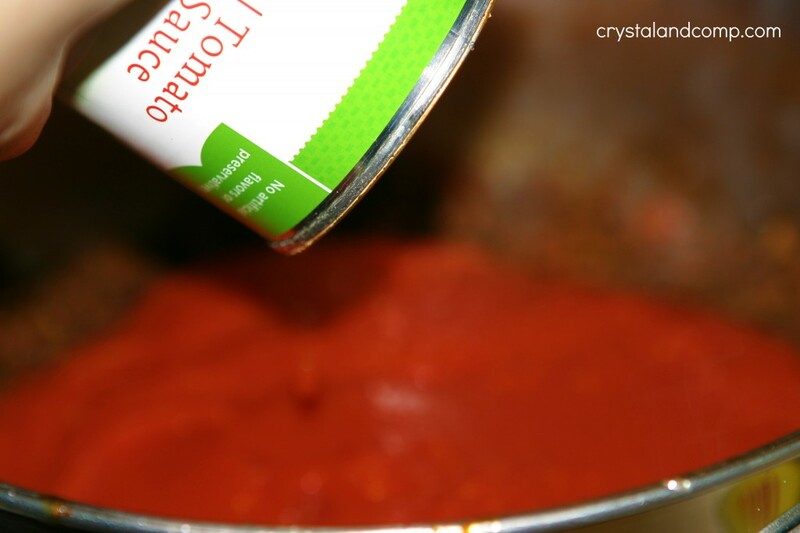 Now, use the crushed tomato can and fill it up with water. Add that water to the chili pot. Add salt and pepper to taste and continue to cook over a medium-high heat until the chili is heated through. About 25-30 minutes more of cooking and dinner is done. I like to serve each bowl of chili with a bit if shredded cheese on top and a side of sweet cornbread. Very filling! Add the four cans of beans, undrained. Stir well. I like to serve each bowl of chili with a bit if shredded cheese on top and a side of sweet cornbread. Great simple chili recipe. thanks for sharing it on foodie friday. 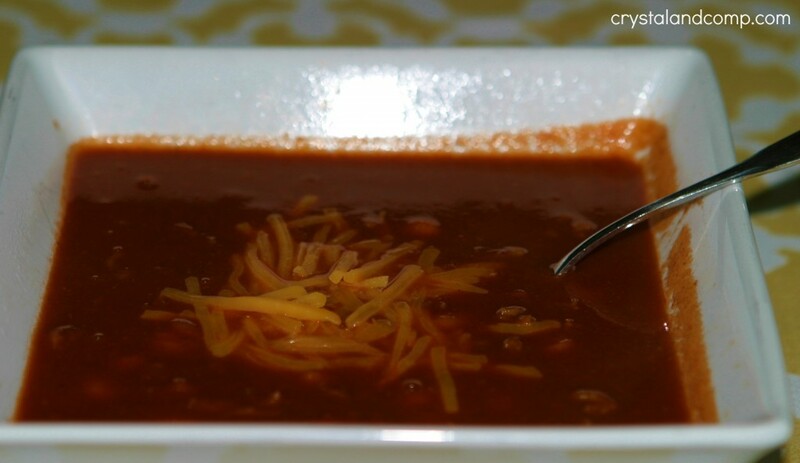 There is nothing better to warm the body and soul than a great bowl of Chili, your recipe looks delicious! Have a great weekend and thank you so much for sharing with Full Plate Thursday. Miz Helen- I agree. Chili is like the go-to dinner for a cold, cold night. I like lots of beans in my chili. Can you tell? It’s definitely getting to be chili season around here. thanks for sharing.